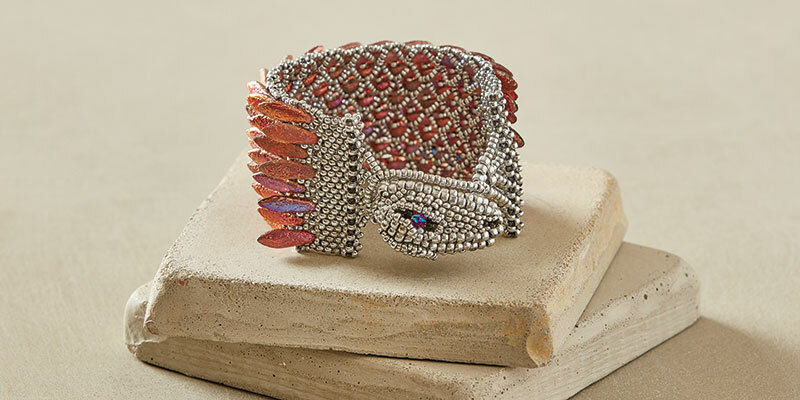 Bead artist Michelle Leonardo graces the cover of Beadwork August/September 2018 with her outstanding Ouroboros Dragon Cuff. 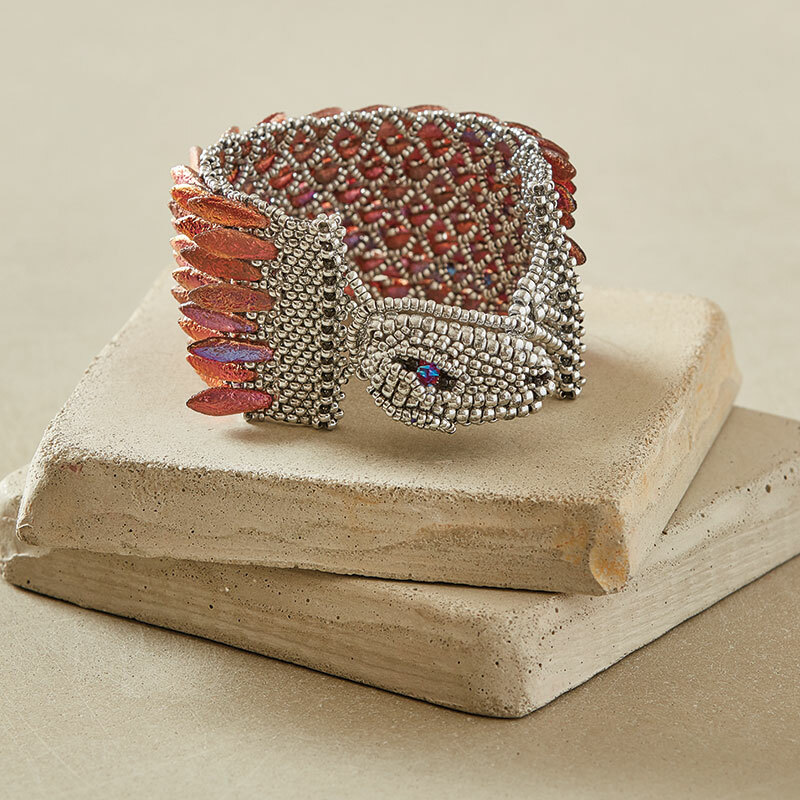 When we first got a glimpse of this magical bracelet, we knew we had to share it with our readers! 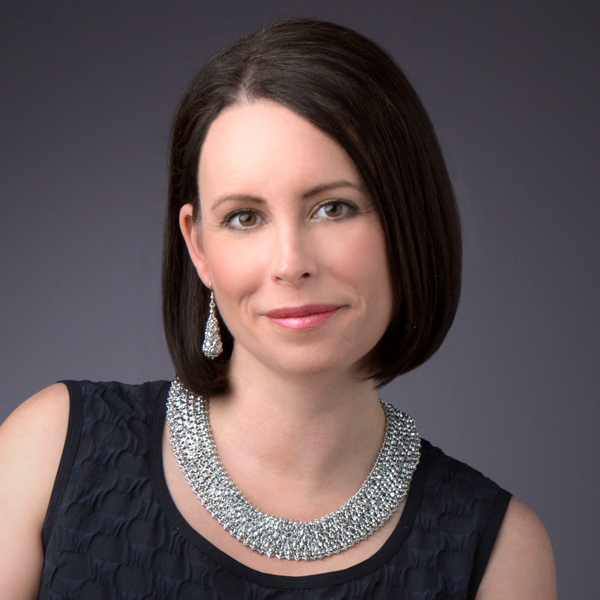 Keep reading to find out about Michelle’s inspiration for this bracelet. Find this pattern today in Beadwork August/September 2018. You may be surprised to learn that the Ouroboros Dragon Cuff clasp was my first freeform beading project. I hadn’t previously tried this technique. In fact, I was petrified to try free-form beading at first because of the lack of rules or set paths to follow. Like many other beaders I simply didn’t know how to veer out of a defined stitch—to break all the rules. Guided by curiosity, I read several books by some amazing free-form bead artists. After learning some of the basic principles on how to break the beading rules, I was ready to venture out of my comfort zone to try the elusive freeform peyote stitch. One night when I wasn’t tired and had a clear head, I sat down with my beads and jumped in. I first created a support structure for the dragon head out of herringbone stitch. I then strategized filling in the sides of the herringbone structure using different sizes of beads, plus peyote increases and decreases. At first, I was surprised that the work was a little easier than I thought it would be. I literally let the beads guide me to fill the right side of the herringbone form. Then I hit a major roadblock: when I started the project, I didn’t realize how hard it would be to do a mirror image of the face without directions! Don’t be afraid to jump into freeform peyote stitch. Following the directions will help you create a three-dimensional sculptural form, but be prepared to make small adjustments to adapt it to your beadwork. To close the clasp securely, feed the tail loop through the nose loop, then fasten the tail loop over the head. EDITORS’ NOTE: The instructions are based on the best method for stitching the bracelet ends (25 beads wide, to interlock with the 12-unit end bars), but the author also had success stitching the bracelet ends to only 24 beads wide, as shown in the photos.